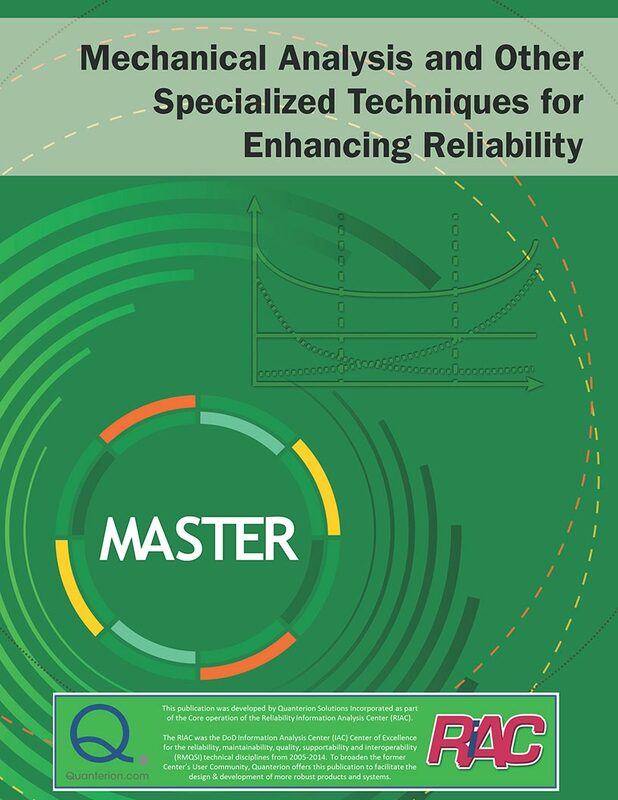 This document is specifically targeted to address this problem, outlining the competing approaches to part reliability predictions, including Statistical Analysis of relevant failure data, Physics of Failure modeling, Empirical Failure Models and Data, and other less common but acceptable methods. Furthermore, the document also describes the mechanical reliability process, including the role of these predictions and other necessary testing and analyses, for the production of reliable mechanical systems. In the recent history of engineering, extensive efforts have been placed on developing approaches to predict the reliability and expected life of mechanical parts and systems. While the available work is extensive, it often focuses upon narrow aspects or single approaches to reliability modeling. As such, it is difficult for an engineer with little or no experience in reliability to apply these methods to real-life situations. This document is specifically targeted to address this problem, outlining the competing approaches to part reliability predictions, including Statistical Analysis of relevent failure data, Physics of Failure modeling, Empirical Failure Models and Data, and other less common but acceptable methods. Furthermore, the document also describes the mechanical reliability process, including the role of these predictions and other necessary testing and analyses, for the production of reliable mechanical systems.